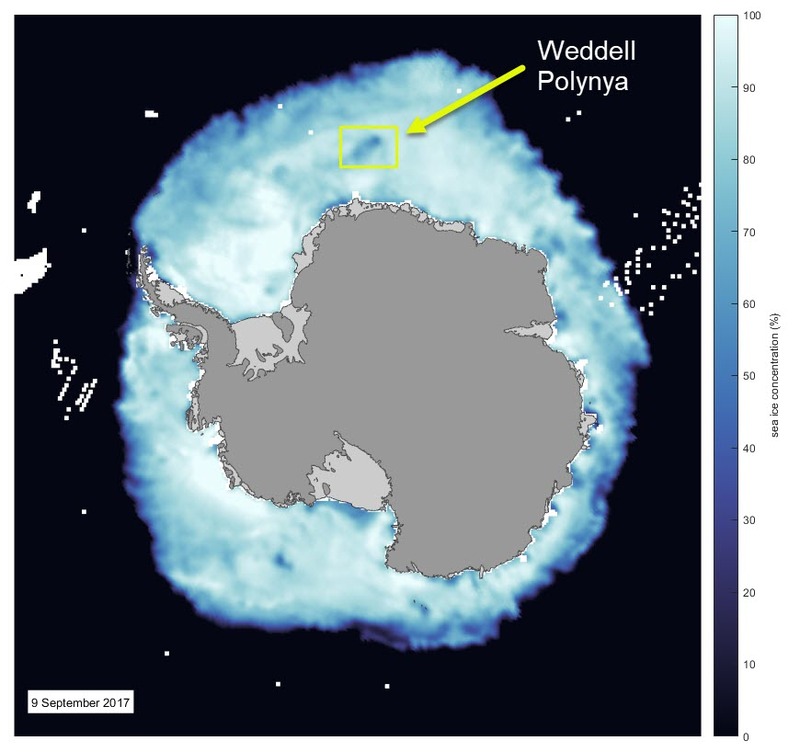 The Weddell Sea polynya is an area of open water that sometimes appears in the Weddell Sea over a relatively shallow region called Maud Rise. The Antarctic sea ice concentration 9 September 2017. The location of the polynya is marked and the original data come from the DMSP SMMI data set at the NSIDC. In the latest satellite imagery from the DMSP satellite you can see the lower concentration sea ice as the darker blue colour. 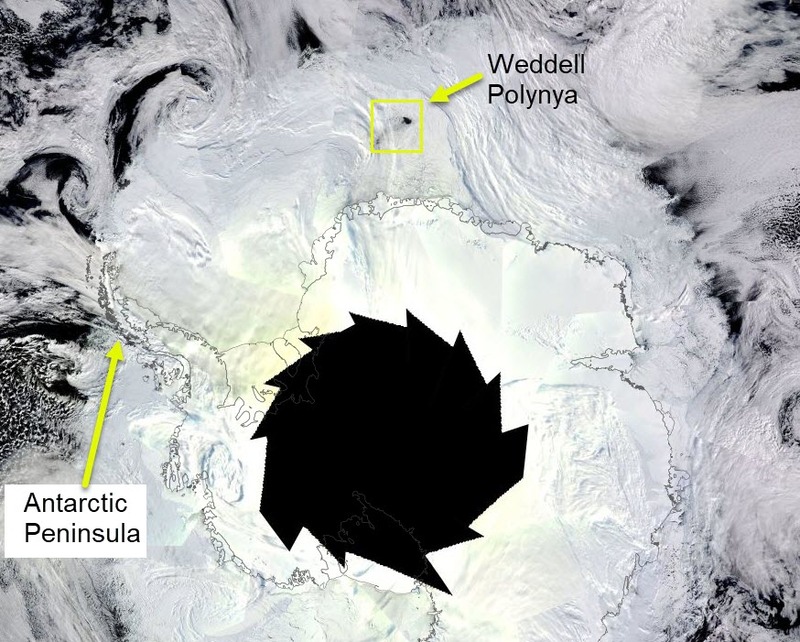 If you look at the MODIS imagery for the same date you can clear see black which indicates open water in the pack ice. The MODIS imagery mosaic of Antarctica from 7 September 2017 from the MODIS sensor on the Terra satellite. The pattern in the centre of the image is because high latitudes of Antarctica are still dark at this time in winter. Posted in Science. Tags: antarctica, Maud Rise, MODIS, polynya, satellite, SMMI, SMOS, Weddell Sea on September 11, 2017 by Mark Brandon.